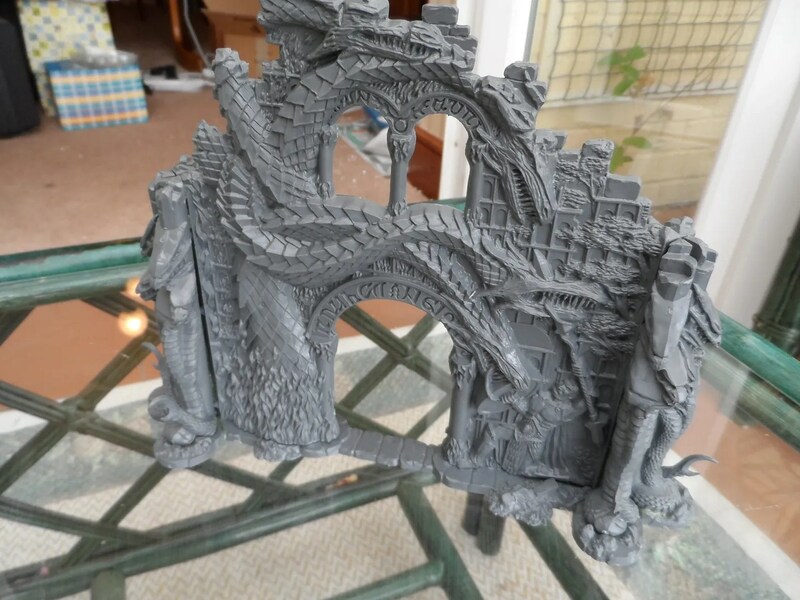 having started to play the Forgotten Pacts campaign, and then bought the Maze of Malcor, I promised JP I’d get some scenery pieces that were required for the scenarios. 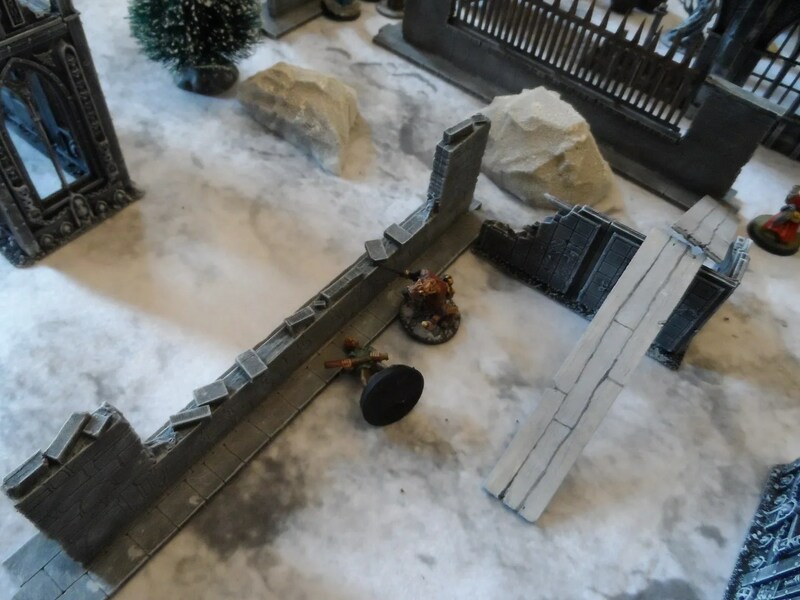 he’s done so many items I thought it was time I ponied up some more scenery. The Nickstarter, the Maze of Malcor is much longer than other supplements. However, in both supplements there is a need for telescopes ! 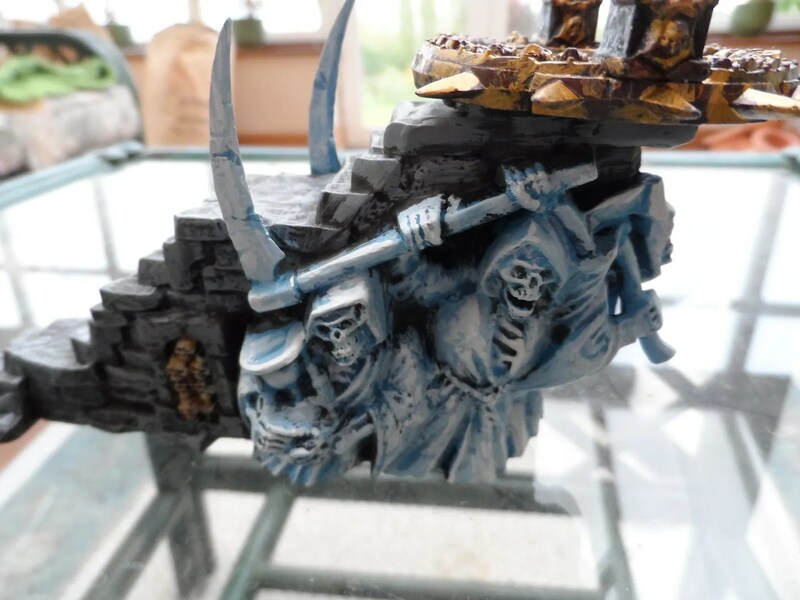 Good job I had one, bought and painted whilst at uni some 25 years ago. Metal Magic. Could I find the other five I needed to make the half dozen needed ? 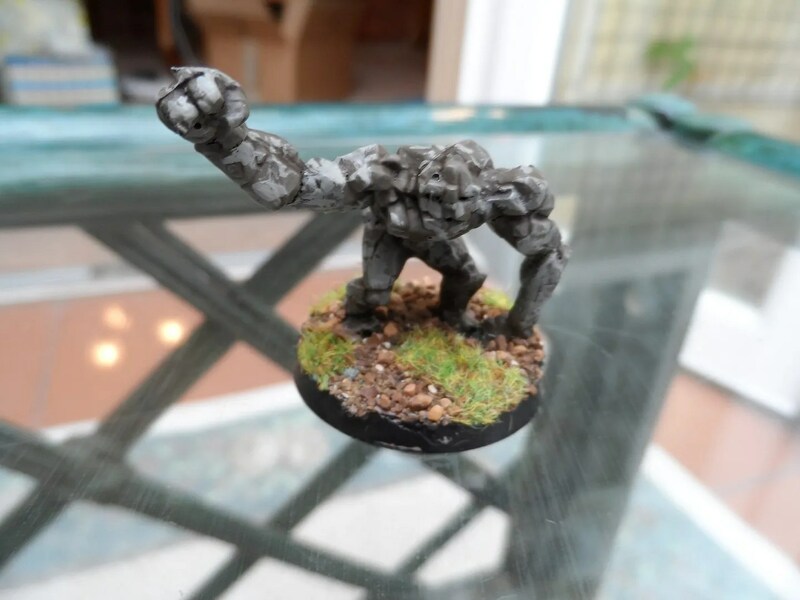 Once again Midlam Miniatures have re-released the item, I think re-mastered as they are slightly larger. 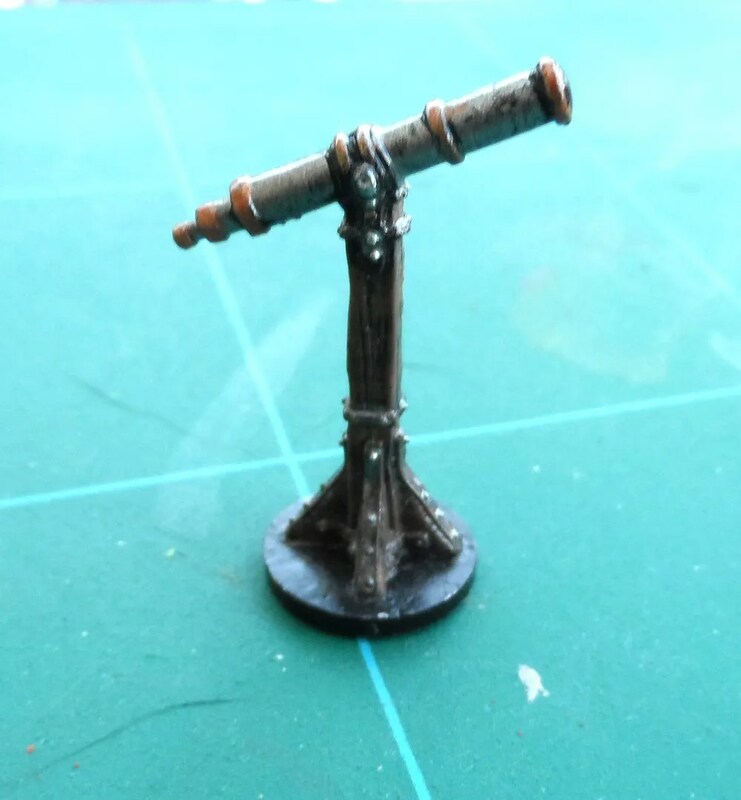 So now I have the half dozen telescopes required. 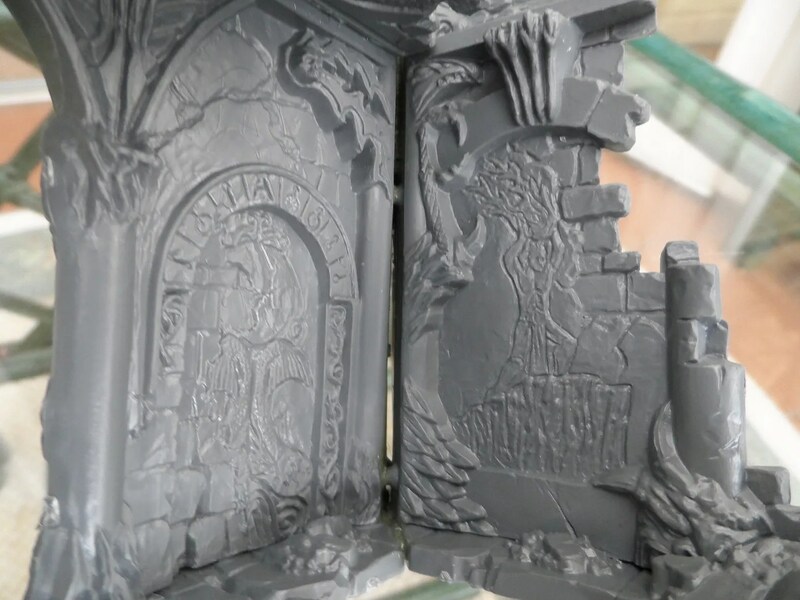 With a few other pieces of scenery being painted up/finished, I think I have some suitable scenery for an Astromancer’s lair. 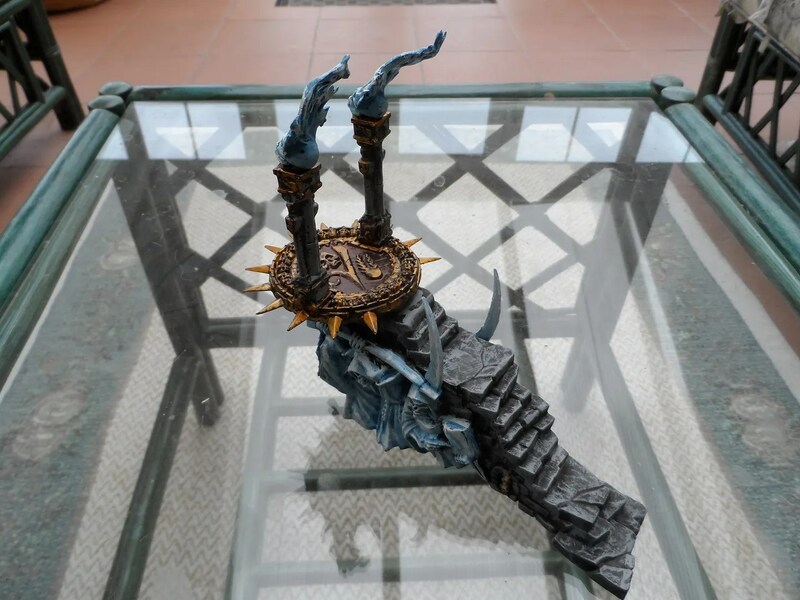 And the all important throne – this time by Ainsty, bought as part of a not so secret project. Northstar/Ospreys latest bundle arrived today. Having read through the book (not the novel) it looks an interesting expansion to say the least, with new deployment of treasure, XP and spells. 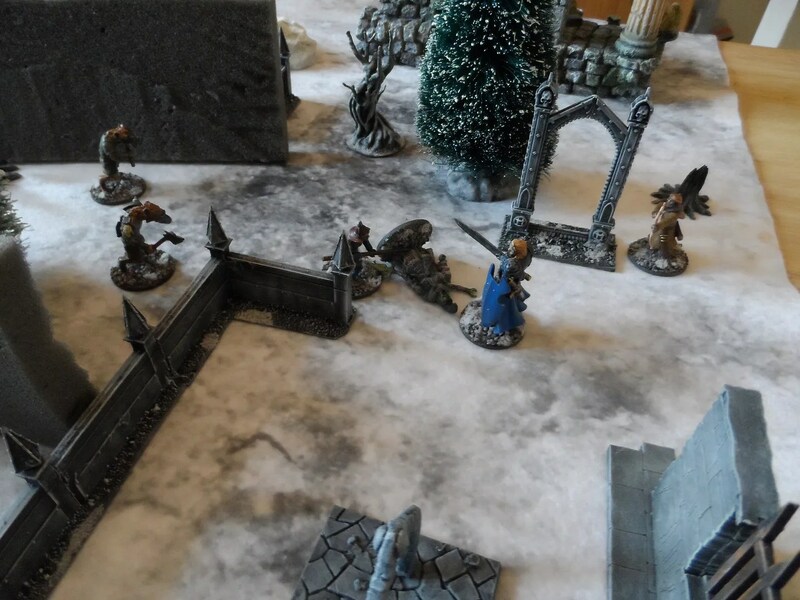 There are twelve scenarios that will certainly test players, and it also introduces the potential for the wandering monsters to be controlled either by a player, or a third party – my preference is for a third party/GM. 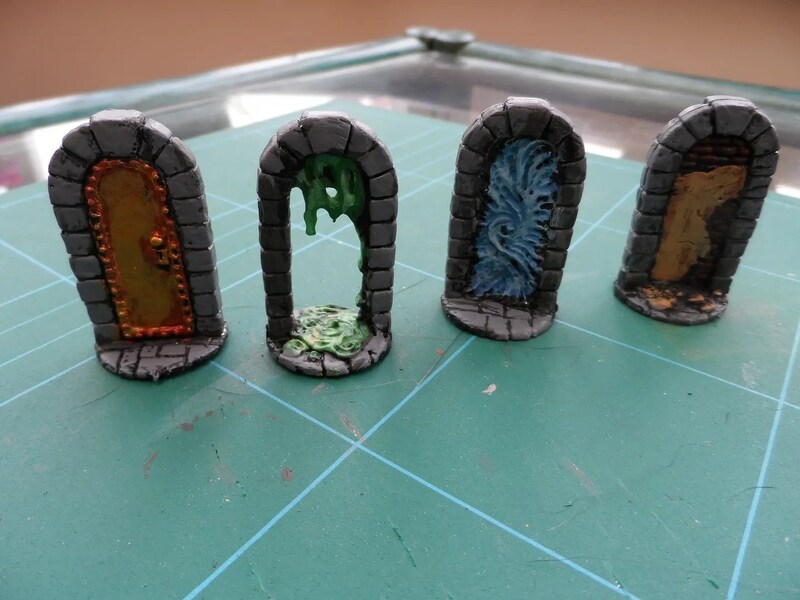 Many of the scenarios call for doorways as entry points, and quite by co-incidence I have been busy painting some doorways up ! So that was serendipitous. 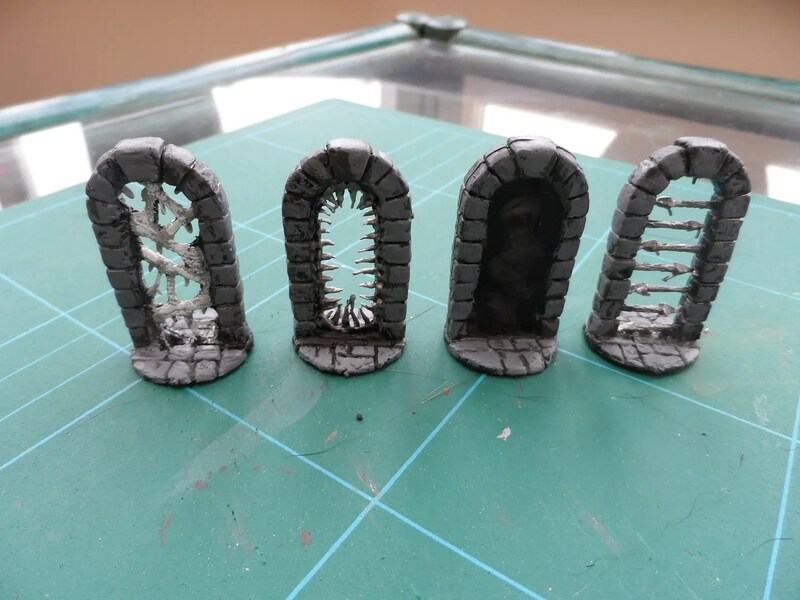 Old Metal Magic items now available vis Midlam Miniatures. 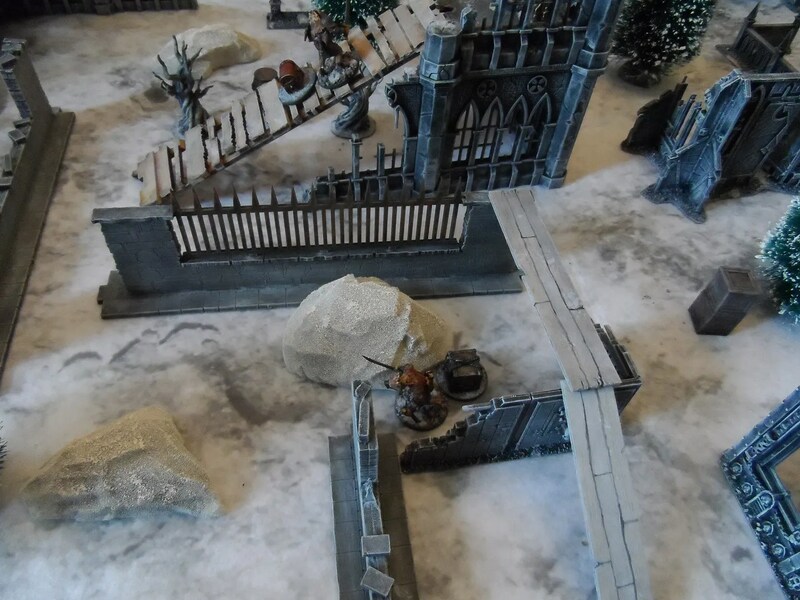 I had bought them for the Alone in the Crypt scenario from the Spellcaster magazine. 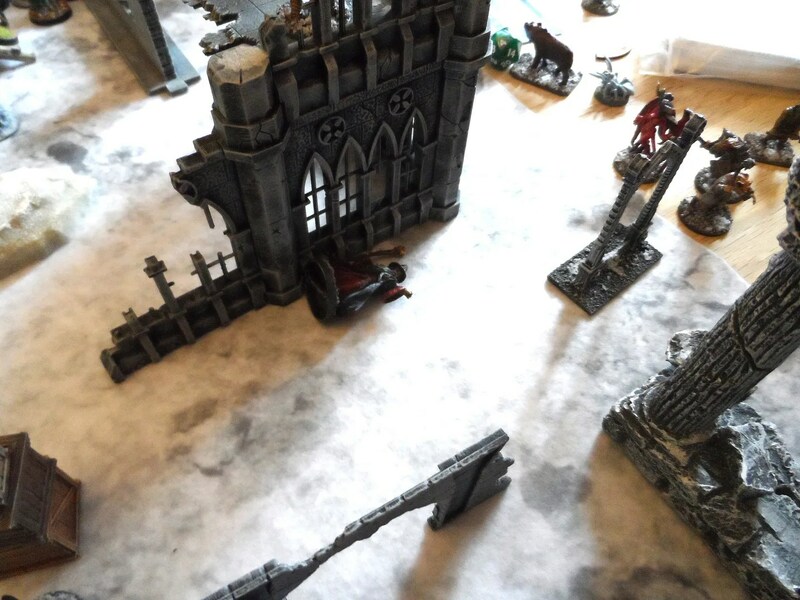 Well one Wizard down ! The game was getting violent. 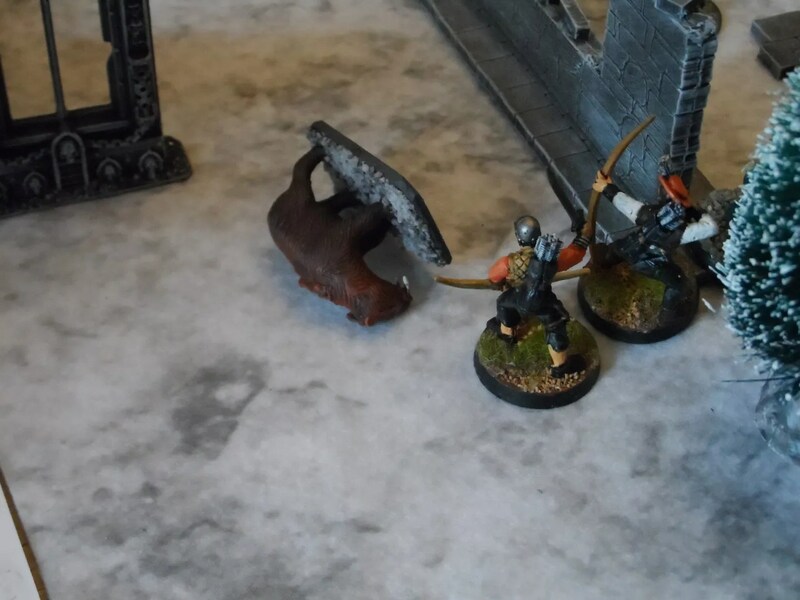 The Rangifer had leapt down from the upper storey with intent to harm my (now) deceased treasure Huntress, and landed next to a long cloth wearing barbarian, which then prom poly fell down under the enraged creature’s blows. Worse than that, shaking off the Blinding Light, another Rangifer trashed my Thug behind my lines. the gold maddened minions of Thaddeus tried to pursue my brave treasure collectors, and despite the war hound downing one of their number outnumbered and put the puppy down. 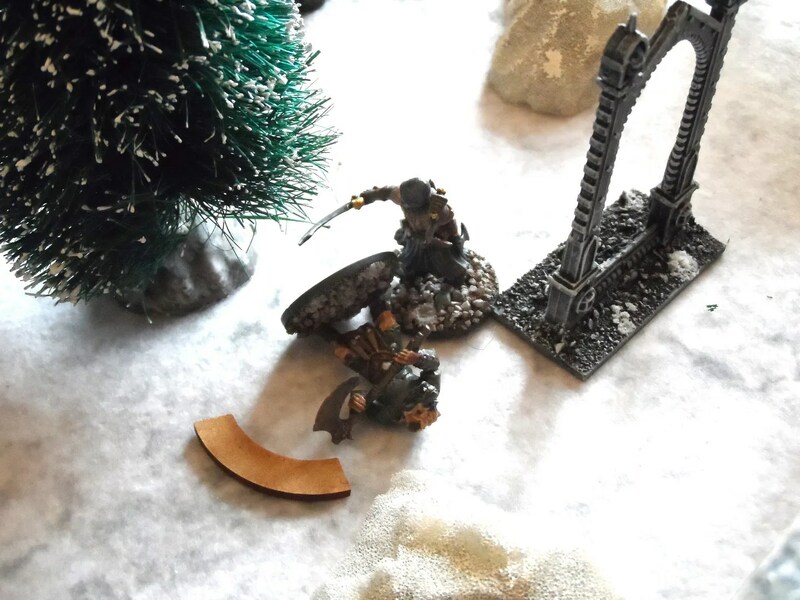 Making Thorin Oakenshield look normal, another Rangifer is slaughtered by Thaddeus’ gold crazed minion. My apprentice Gideon fought of a Rangifer attack, and then was helped by “Deadeye” the ranger fresh from his killing of Thaddeus. And another Rangifer goes down. This was the last one. Thaddeus’ minions were meanwhile dealing with more random creatures that were turning up. But not before an arrow put down Holbron as well – another 20 ! So both Wizards down in the same game. 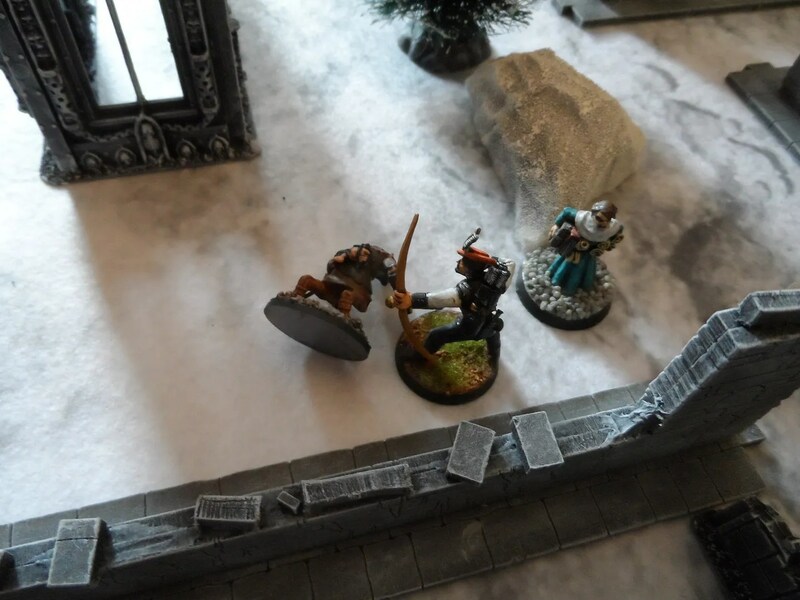 But that didn’t stop the fighting, with a Giant rat out out of its misery behind Thaddeus’ lines. Getting out of Dodge City, my innocent crew were pursued by the thieves, to the bitter end. 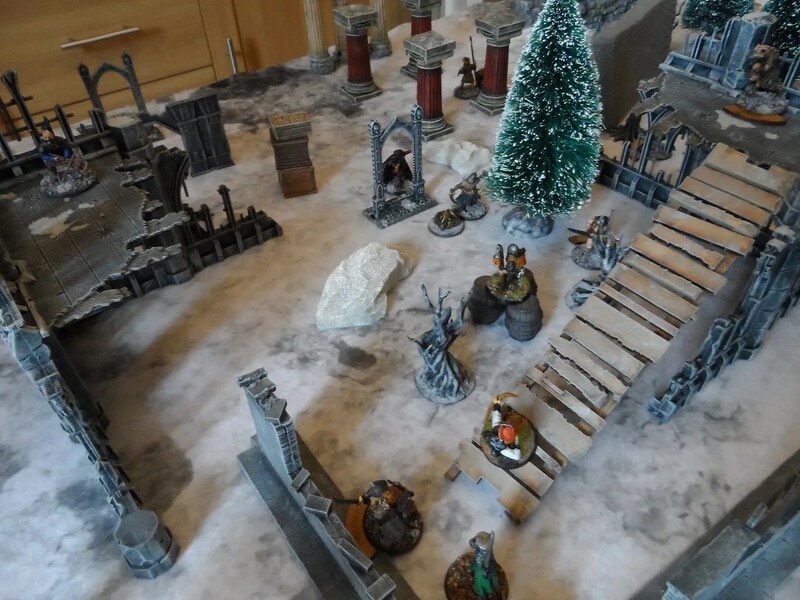 Another exceptionally hard fought game, but really good fun especially with both Wizards being decked by 20’s – despite us being ~56th Level and packing a lot of protective gear. There is no guarantee of survival. Thaddeus suffered a permanent injury. Holbron had a severe Injury and had to pay 100Gc to fix it…normally this isn’t so bad but as I had had to rebuild my war bands’ costa I had decided in the spirit of fair play to empty the treasury to zero to offset any deliberate or accidental gamesmanship in choosing th4 spell lists etc/ So after effectively 2 games I had a very diminutive treasury to cover medical costs. For completeness’ sake here is JP’s take events. 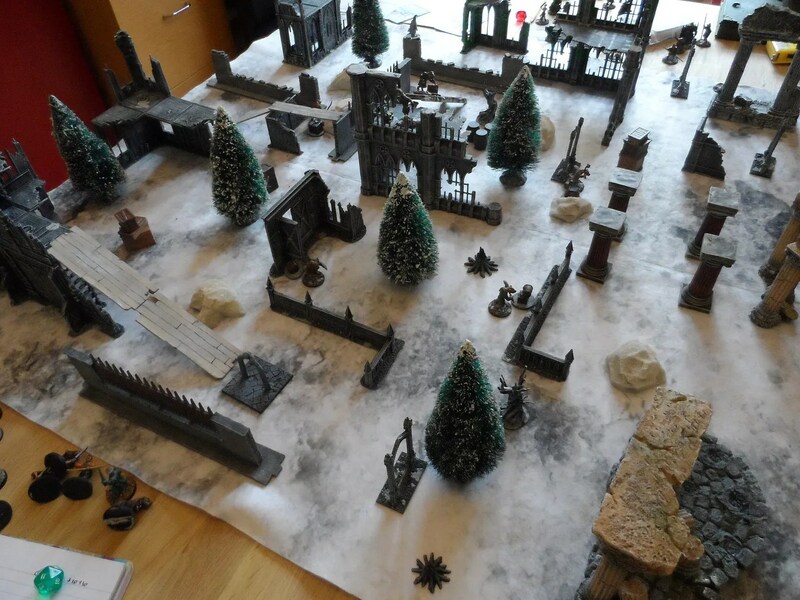 The second scenario JP and I played was the next thaw of the Liche Lord campaign scenario – Run of the Rangifier. Nominally it was a good idea to keep the Rasngifers alive as (a) that got you more Xp, and (b) it was part of the fluff. So we both went in to it with that idea. Six treasure chests were on the table, each guarded at the beginning by a Rangifer. 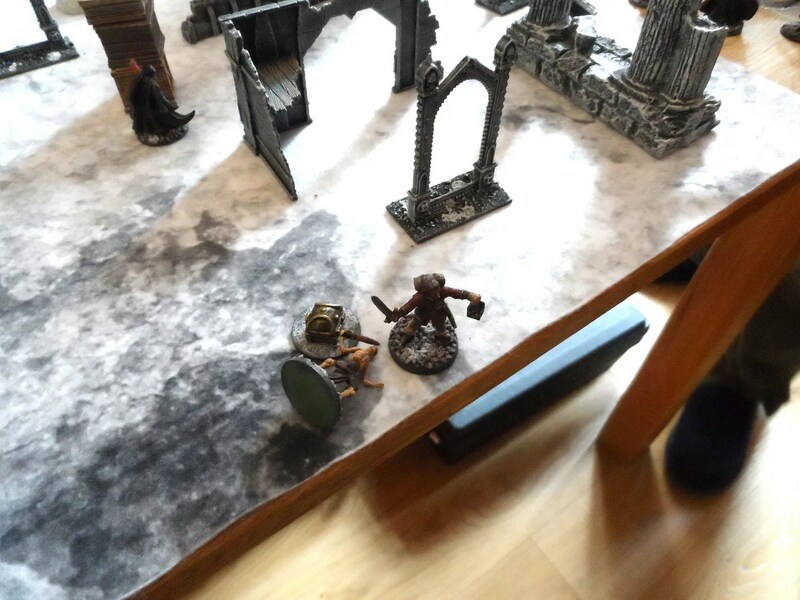 Intending on keeping them alive, I was planning on using Blinding Light, and then drawing the Rangers out before one of my thugs crept in and nicked the treasure behind them. Of course, Holbron’s enemy, the excrescence that is Thaddeus *who is EVIL and must be destroyed), had other ideas and simply pitched his minions to slaughter the Rangers. They promptly slew a Rangifer in the first turn just two get their hands on the loot. 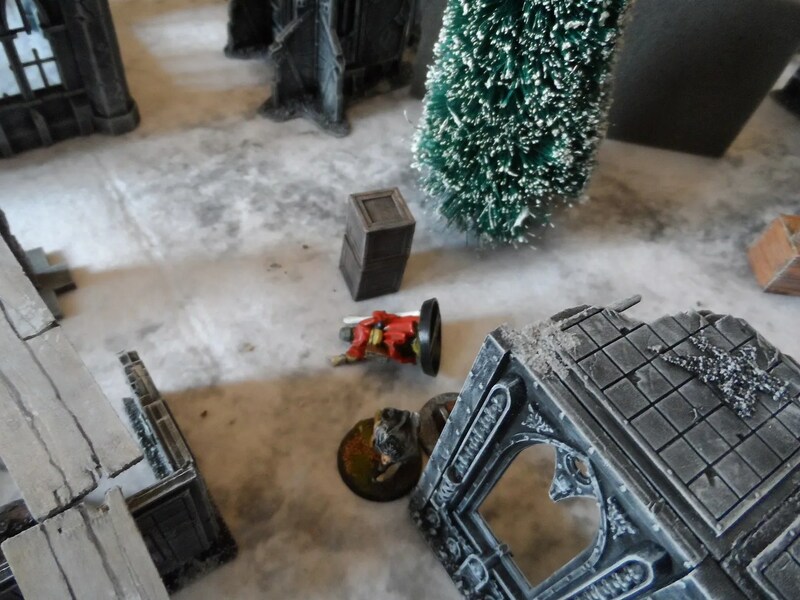 Of course, picking up the treasure, a monster encounter was triggered, and where di it appear – behind Holbron, who promptly despatched a thug to deal with the ice spider. 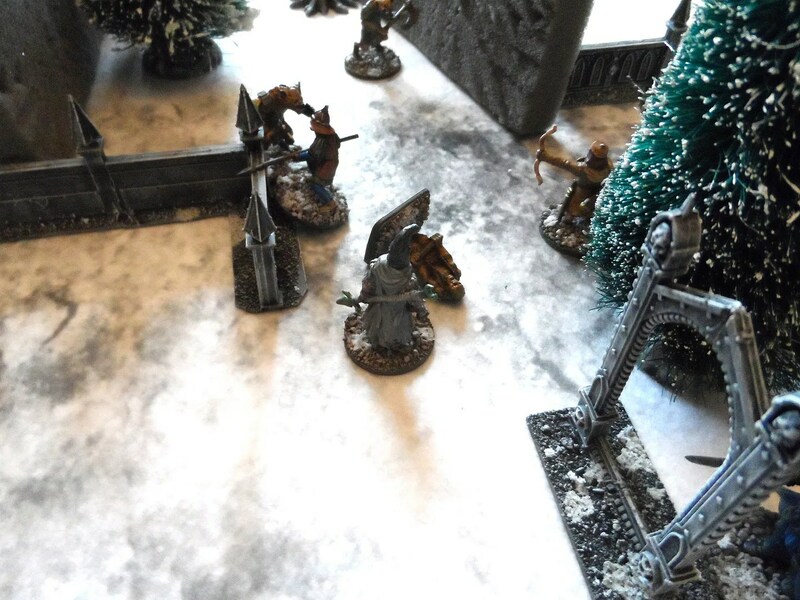 Despite being Blinded by magic, the Rangifer right in front of Holbron managed to put out of action the archer sent in to collect the treasure after ignoring the taunts from in front. Another 20 rolled by JP ! 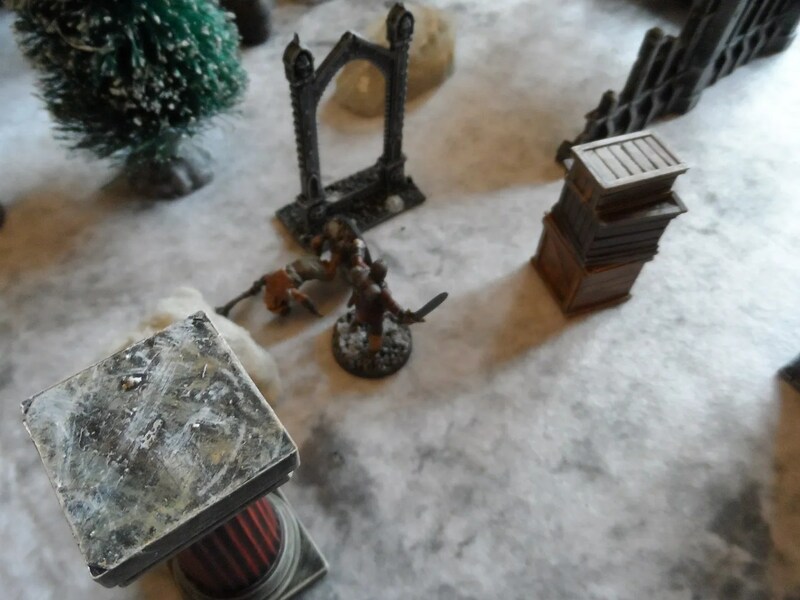 Over on the other side of the board, Thaddeus’ minions closed in on the treasure and the Rangers, and both of us cast Wall spells to shut down our inaction with the Rangers as far as possible. 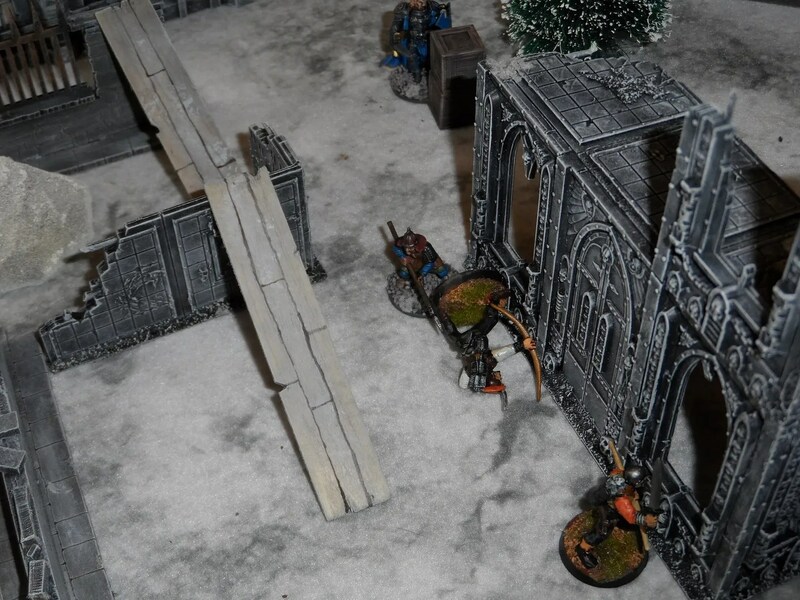 The ever reliable flank attack by Fluffy the war hound, ends in the usual debacle. 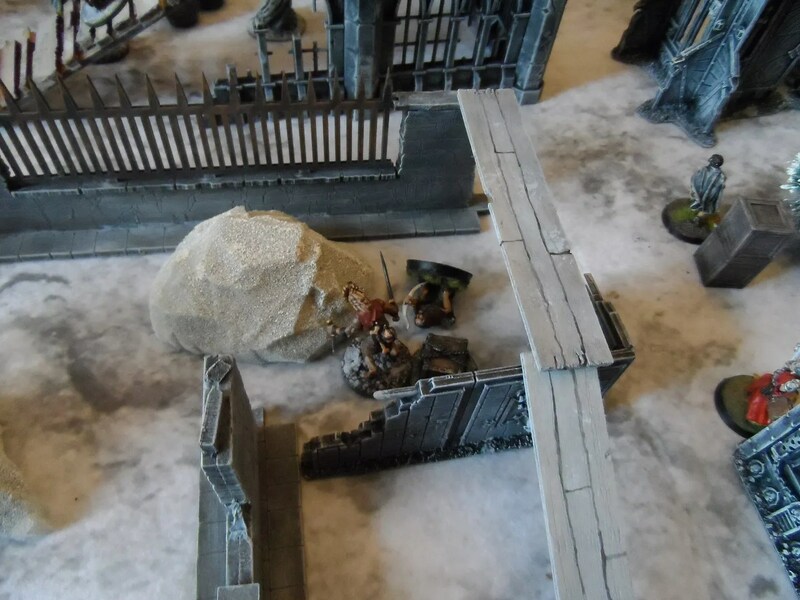 All this ruckus attracted the Wraith Knight, who trashed Thaddeus’ Zombie and advanced forward with purpose. Before being defeated by Blue Peter, Thaddeus pet Knight. 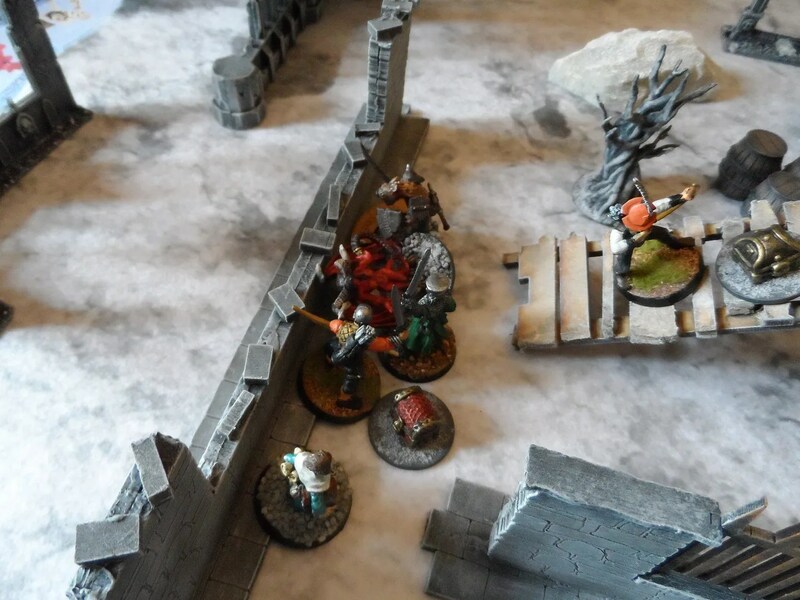 Meanwhile, Holbron’s crew surged forward and playing tug of war via telekinesis had wrested control of a treasure chest only for a Demon summoned from the nether regions by Thaddeus attacked, and then a Rangifer added to the mix. By now both war bands had realised their plans to NOT kill the Rangers weren’t working and the Rangiufers were running amok. 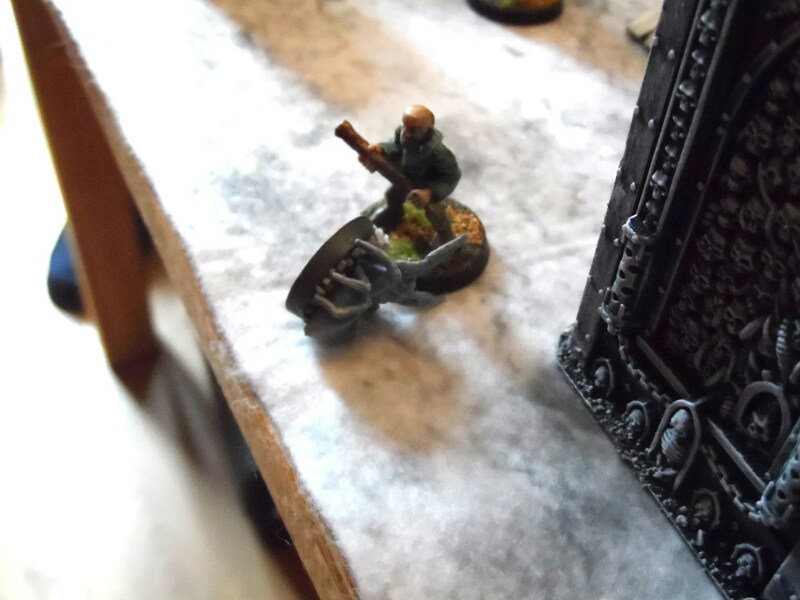 My Treasure Huntress, jumped down from the upper storey onto some barrels in the middle of the fracas intent on retrieving the treasure that Oddleigh had purloined. Only to be struck down by Thaddeus’ bone dart (ooh err missus). 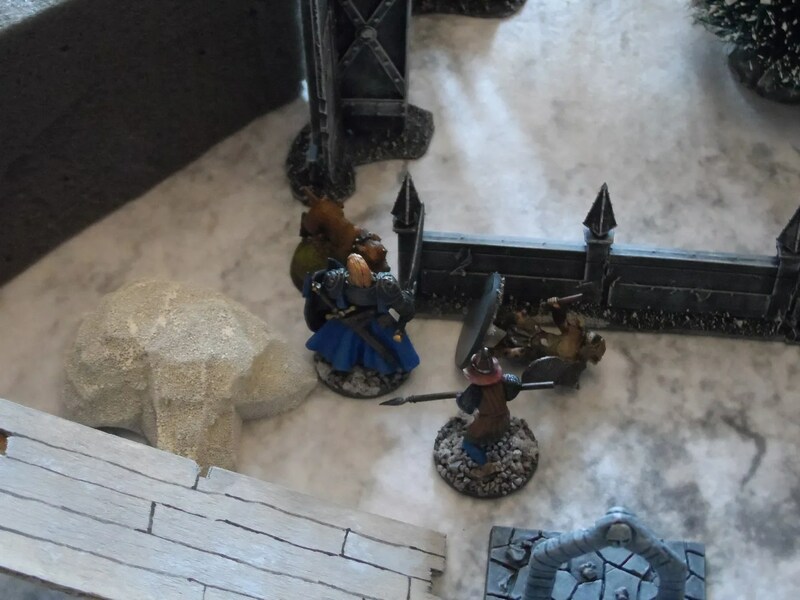 Only for one of my Rangers on the walkway to roll a 20 and skewer Thaddeus with his arrow. To be continued, because we have one wizard down, and more violence to come !! 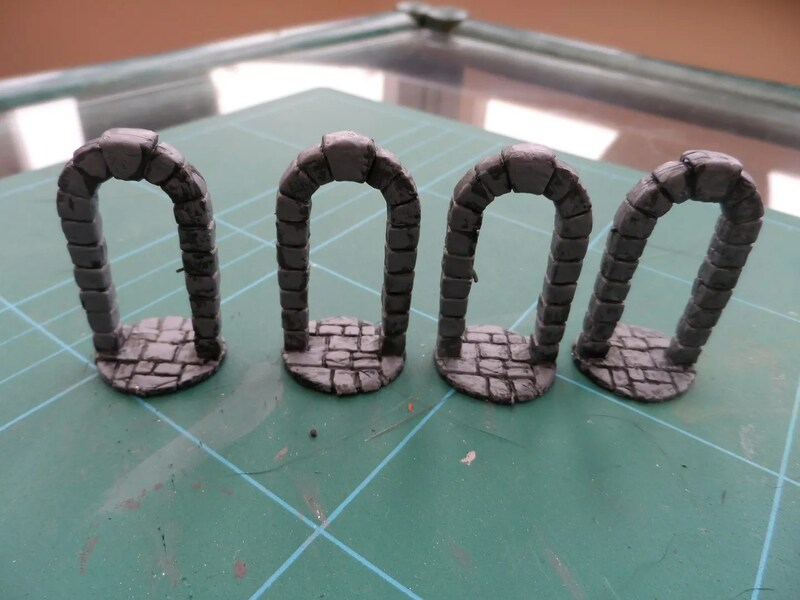 Finally, I’ve done some figures as opposed to scenery pieces. 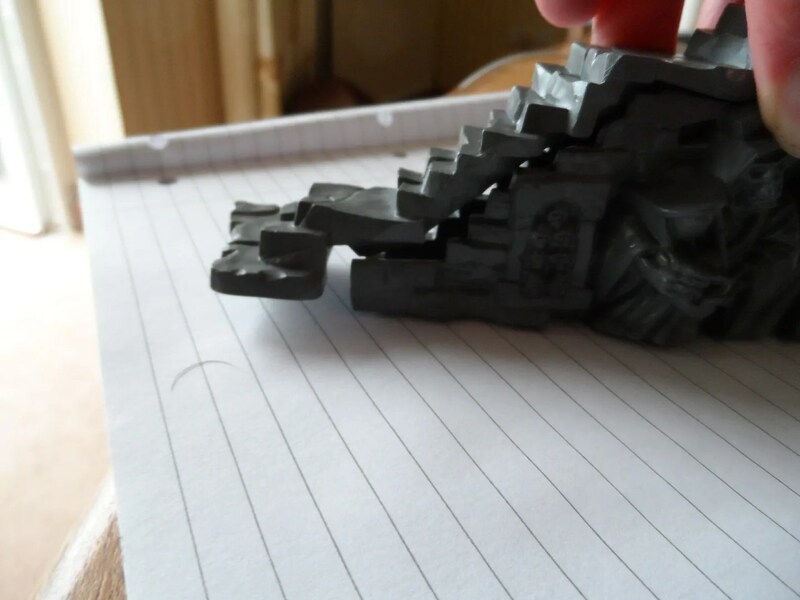 hardly the most complex, but at least they are figures that I can use in a game. 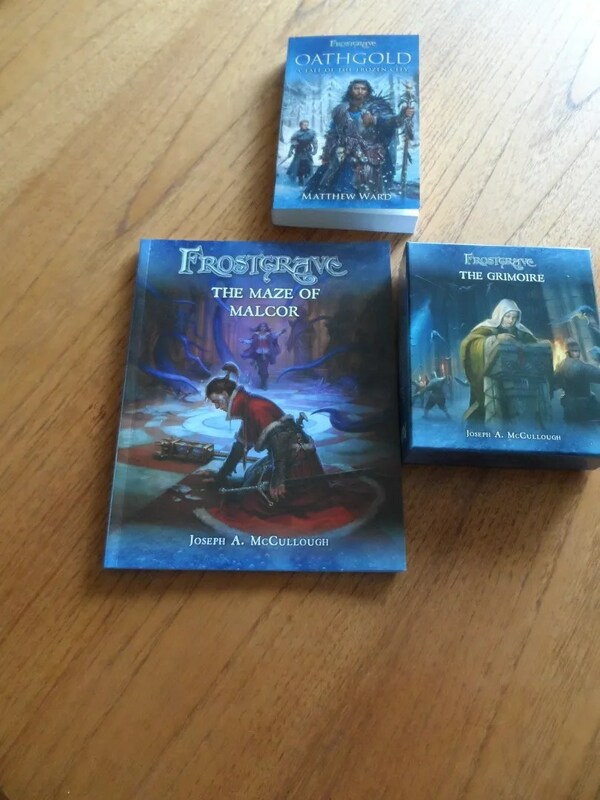 They are also the first frost grave figures I’ve actually bought for myself. 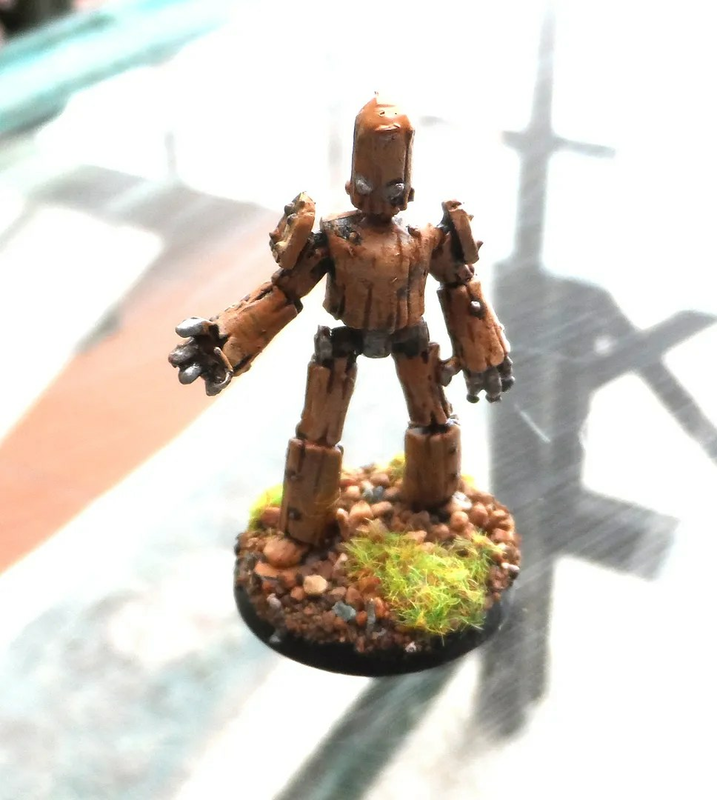 Medium construct, on a 25mm round base. Lady Katherine is an Enchanter (as well as being Enchanting), and has long had the spell “Animate Construct”, but without figures and no clue as to how to use them I have held off using the spell. That will change soon. 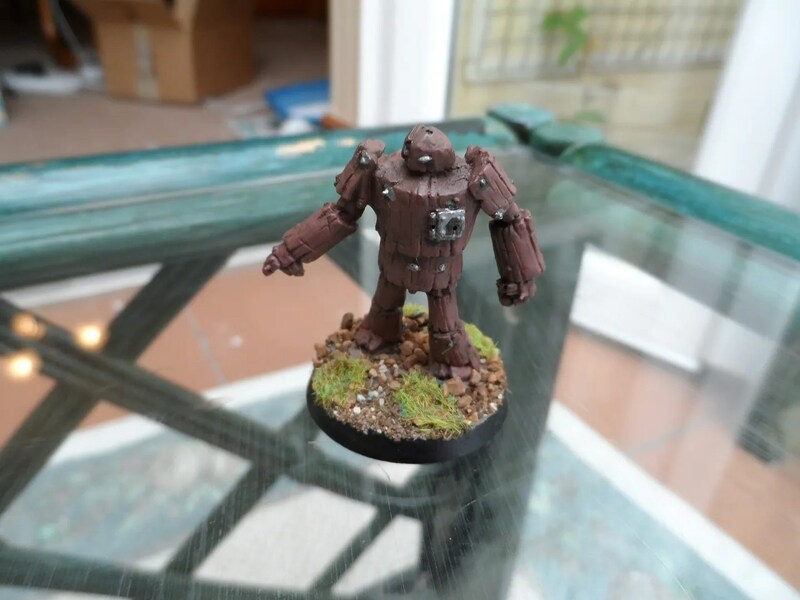 A Large Construct, on a 32mm round base. 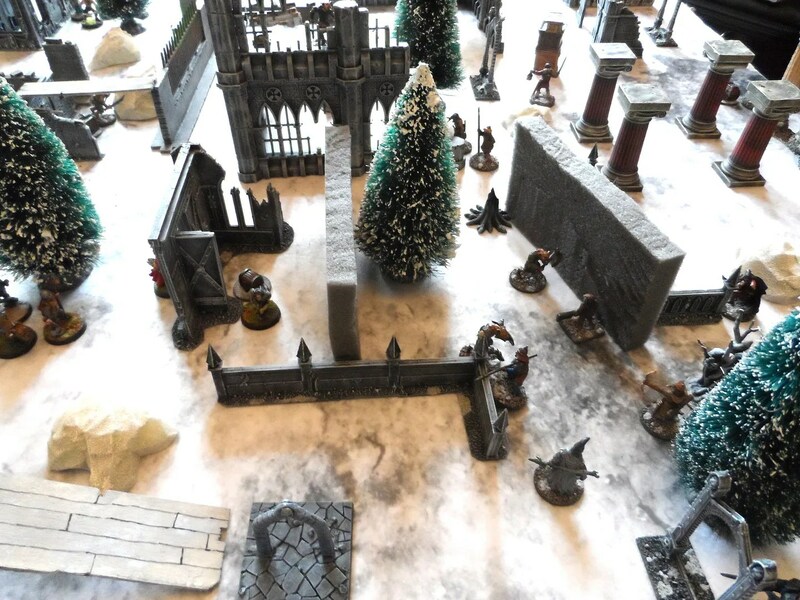 After my move I have availed myself of some GW mail orders to get all the bases I need to finish off (hahahahaha) my Frostgrave and Mordheim figures. 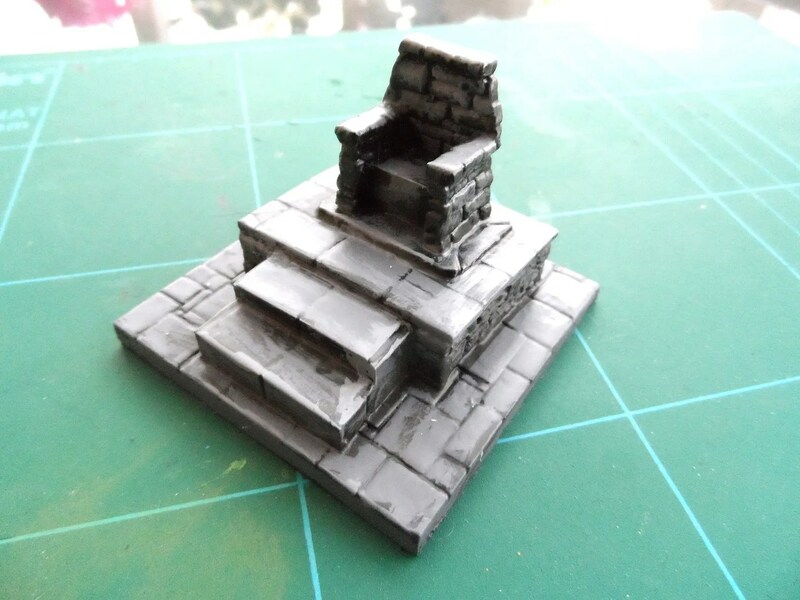 This one seemed to fit on the larger bases GW now produce, but wasn’t a full 40mm size base. 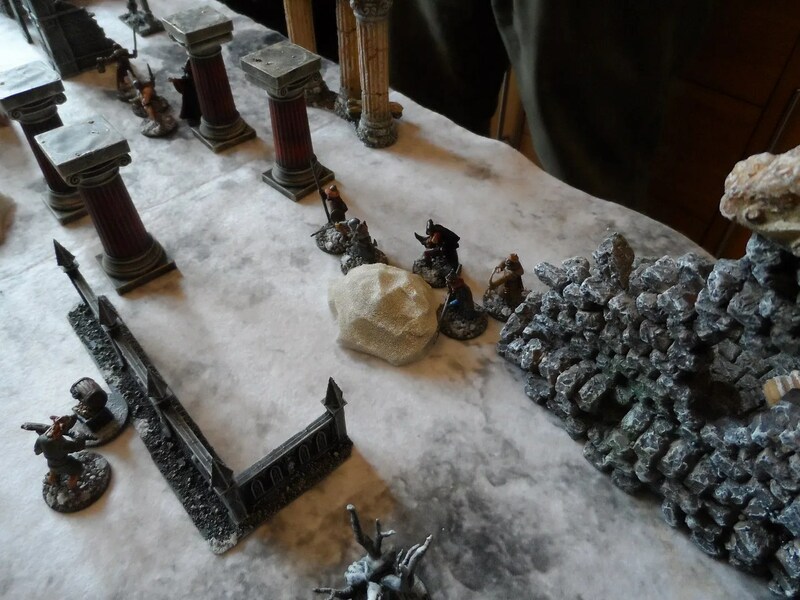 Stone Construct, again on a 32mm round base. 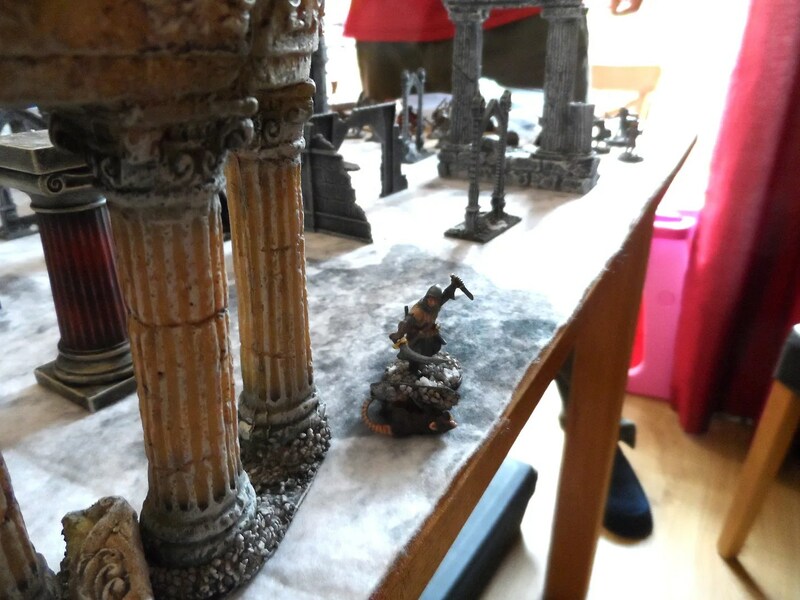 Nice set of figures, and the small construct, and flesh golem will be posted shortly. The only disappointment is the size of the figures – they could be bulkier. 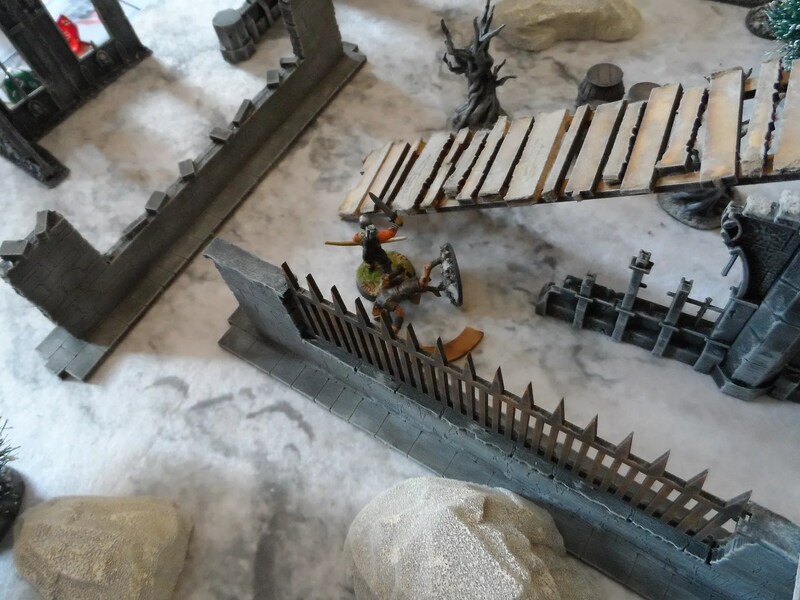 But then the stat line in Frostgrave is also not that greater than their flesh and blood living counterparts. So looks like Lady K will be out looking for more components for her constructs, so she can put them to work. Maybe I’ll have a crack at scratch building something soon. Another item in pieces that the move unearthed and has propelled me to complete. 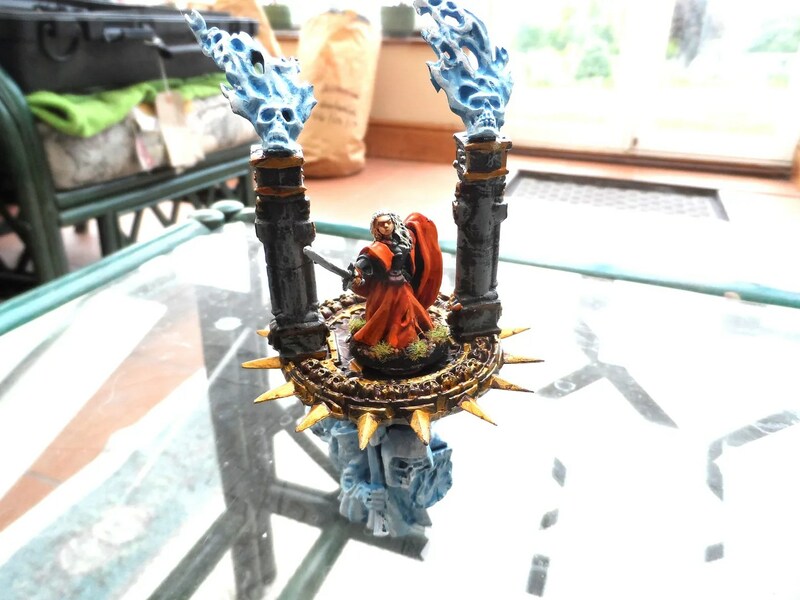 The third arcane fulcrum for the WHFB supplement Storm of Magic, the Eternity Stair. Now OOP, and for good reason, its a lovely piece of scenery but does require a lot of work to build. 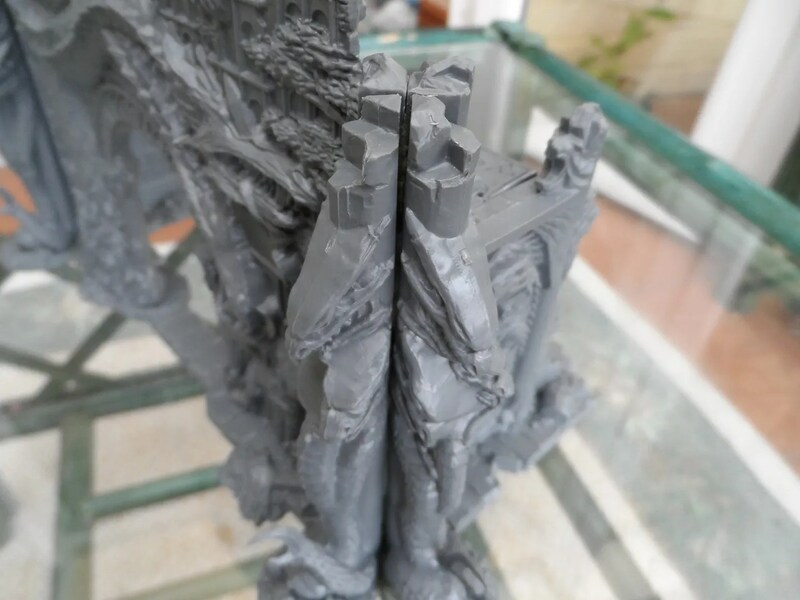 The two parts of the understaffs fit together fine, but the stairs on top did not – not by a long way as can be seen. 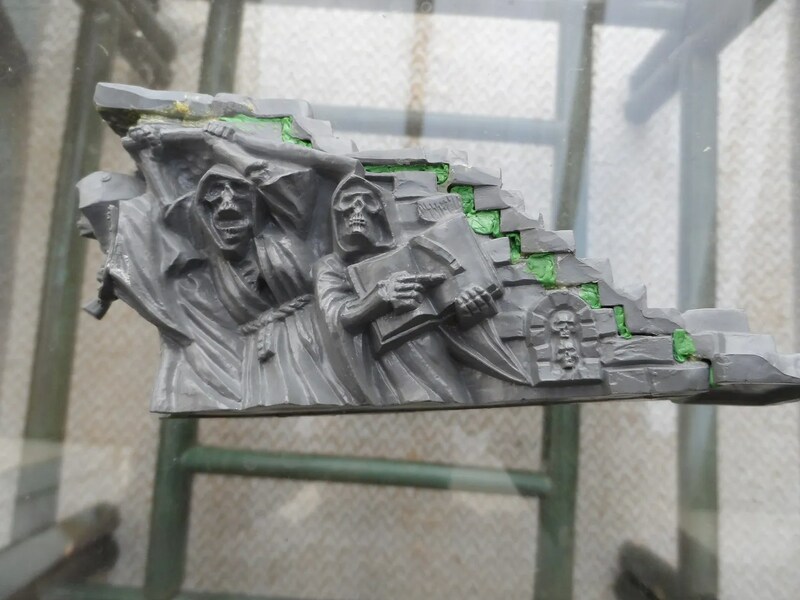 This was resolved with a bucket of near boiling water, and some muscle power to bend the plastic stair piece into shape. 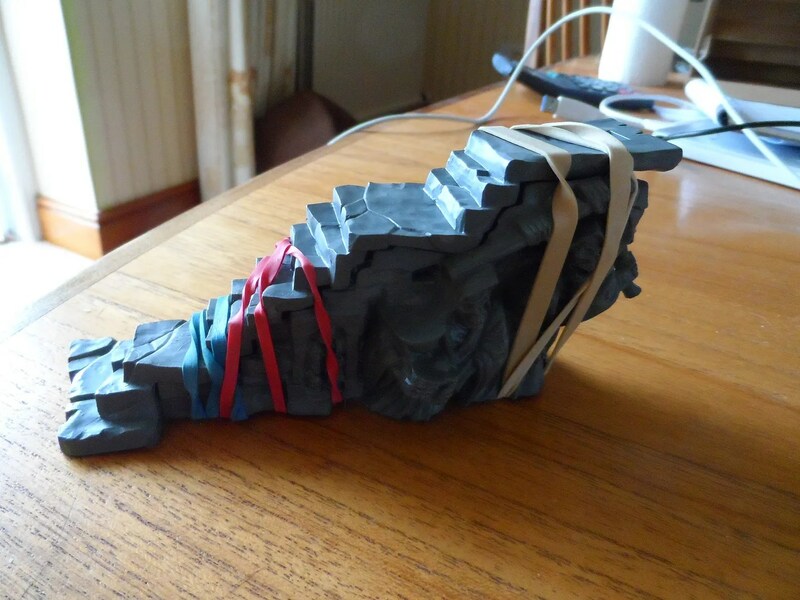 Once bent into shape, the stairway was glued down with my usual mix of generic and super glue, and then held in place for 48 hours with rubber bands wound tightly round the edifice. Once set, the entire piece had to be green-stuffed to fill ion the remaining gaps, which took about 30 minutes ! 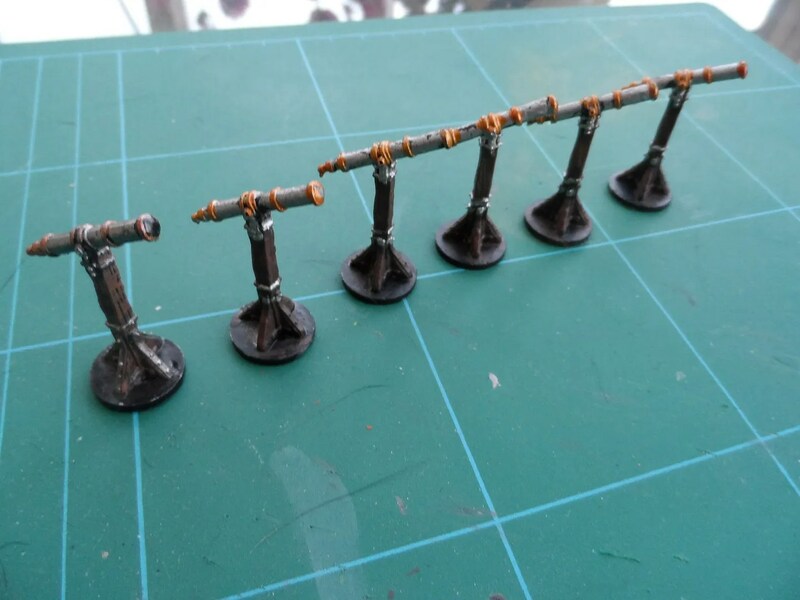 the piece was then undefeated black, and painted using my usual colours. 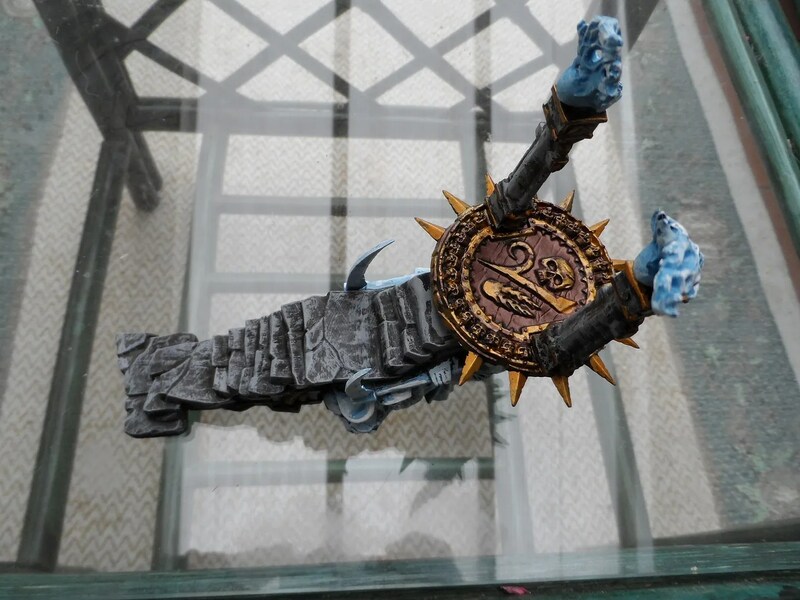 I had thought about the understaffs figures being slate grey, but decided to make it more “magical” I’d paint it a ghostly blue, which IMHO has turned out well. Took 5 layers of successive dry brushing but never mind. 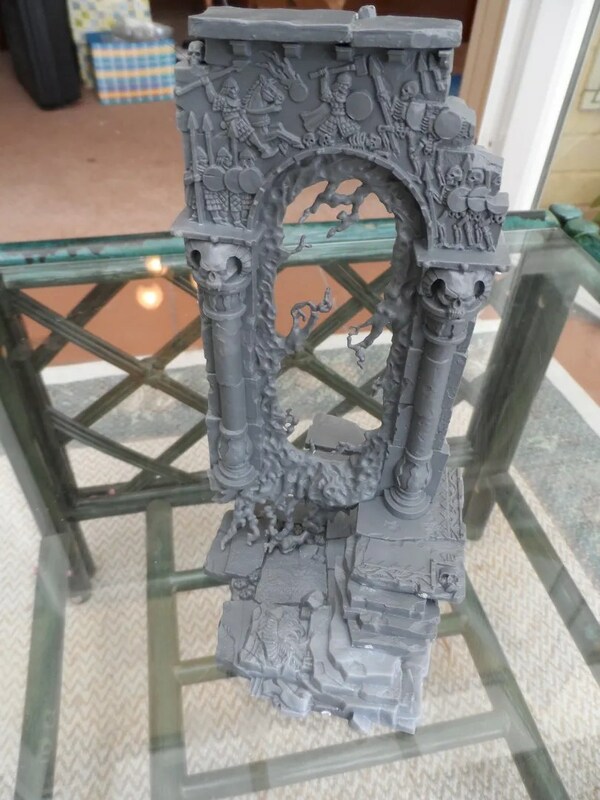 This has also set a template for some of my ethereal undead I have planned. 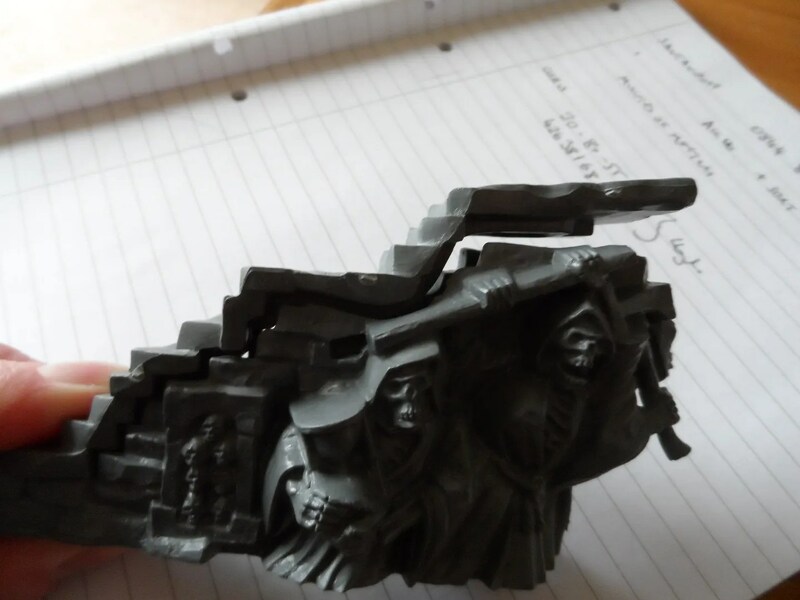 Like the spiral staircase, the stairway has room for a few figures mid flight on it.